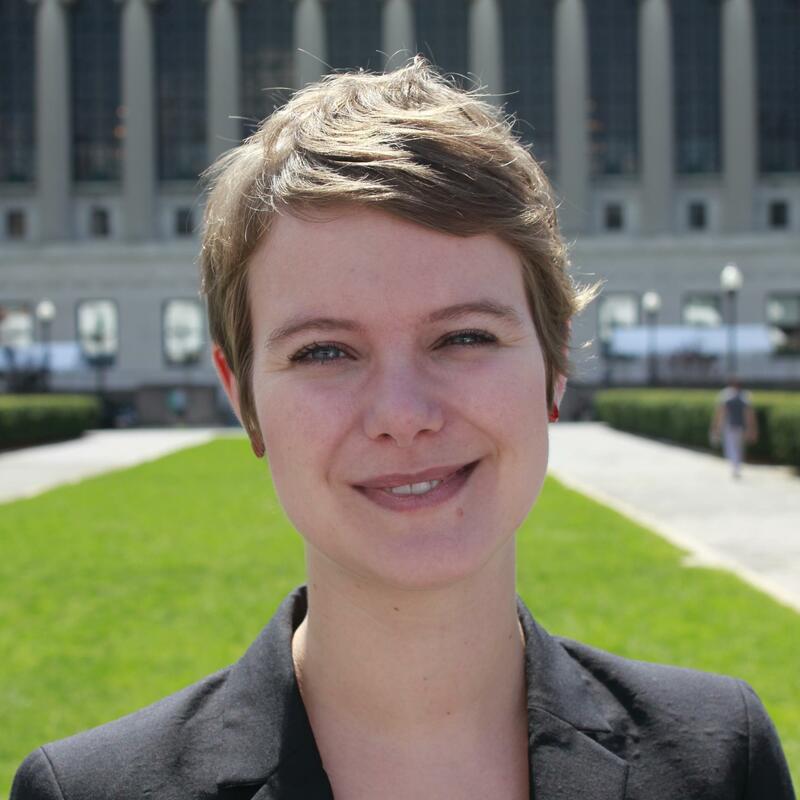 Kristina is an associate at one of the leading sustainability strategy-consulting firms, AccountAbility. Kristina has a background in consulting from her initial days at Ernst & Young and has an undergraduate degree in Business and Finance. She graduated from SUMA in 2014 and has been with AccountAbility for almost a year now. She is based in New York, but the following conversation happened between Kristina and Deepika, while Kristina was on a business trip to Saudi Arabia! D: Tell us about your role and your organization? K: AccountAbility is a leading sustainability-strategy consulting firms and I am a sustainability consultant. AccountAbility functions in three core areas: the provision of advisory services, research, and the setting and promulgation of industry standards in corporate sustainability. I am associated with the advisory practice and work on strategy projects for a range of clients – corporations, non-profits, and foundations. In a recent project we performed a review of Walmart’s corporate giving and community investments. In another, we validated compliance to the Equator Principles for a run of the river hydro project in Colombia for an investment bank. This project required our expertise in terms of understanding the communities and wider stakeholders that are affected by the undertaking and how to define sustainable development in the local context. D: All that sounds very interesting, but what would you say you love most about your work – what keeps you there? K: This! Right now! I am in Saudi Arabia meeting with the client for our on-going project supporting the analytics for the King Khalid Foundation’s Award for Responsible Competitiveness, which each year recognizes the best corporate citizens in Saudi Arabia. I actually got to conceptualize and build a mathematical model to assign scores for each entrant in the competition – we focused on compliance as it relates to social sustainability and used a broad understanding of the legal context to guide our work. I get to really see social impact in action. I am meeting with the CSR heads of some of the largest companies in the kingdom to talk to them about their philosophy, to really see what motivates them, and it’s just great to be around people who are passionate about what they do, and in particular, passionate about Sustainability. Since AccountAbility has done this before, we are able to see how feedback from our earlier evaluations helped some organizations to improve, and we can see the progress in their performance. Additionally, I get to see a part of the world that many people would generally not associate with sustainability. And I have to say that the companies here are rather forthcoming about sustainability! One of the CEOs has 25% of his performance objectives riding on achieving sustainability goals of the company. So, I really like that my work helps me gain this unique perspective on the industry, as well as within a different cultural context. D: Your role sounds very exciting! Tell us how you found and prepared for this role? K: Consulting, as an industry, requires a bit of research. You don’t need to do a PhD. In fact, SUMA provides an opportunity through Capstone and research internships to do some solid research on a topic of your choice. I had done an internship with Prof. Bose and Dr. Dong Guo at the Earth Institute, and we are hopefully publishing our article soon. This really helped me talk about my research when I went for interviews, so it was of tremendous help. I found the role on AccountAbility’s website and applied directly online. I did look around for other opportunities and had a lot of informational interviews. But I am very happy that I finally ended up here. It is indeed one of the oldest companies in the CSR space. Its AA1000 Series Standard is a global CSR standard second to none. And I am fortunate to work with a group of smart, creative and passionate people. D: I’m glad it worked out that way for you! But, is there a specific skill-set or type of personality that is needed to really be successful in your position or in your organization? K: Consulting is not for everyone. You have to be both technical and strategic. Consulting also lends itself best to people with high emotional intelligence. From a work-life point of view, the hours can be longer than most jobs. I’ve had to cancel dinner plans a couple of times. Travel in my role is limited. On average I travel once a month to a client meeting to pitch a proposal to a potential client or to a conference. This trip to Saudi is two weeks long, which I think is the typical duration for a business trip. I actually like traveling, so I find that this lifestyle suits me. Some consulting firms need you to be at the client location each week while others might have very limited travel requirements. Again, my suggestion is to find the balance that works for you. D: I know you went for a dive in the ocean this morning, I can totally tell that you’re hitting the right work-life balance! But, let’s flip this over a bit. What do you find most challenging about your industry or role? K: Because the sustainability consulting industry is small even now, there are ebbs and flows of work. I wish that we could predict the peaks and troughs or flatten them out, but we cannot expect that yet. Sometimes, there are three projects at the same time and sometimes the work is well-spaced in between. Then the challenge in the consulting world in general is that you are constantly providing strategy, but you are never the decision maker. You don’t have the authority to make a decision for the client and that gives rise to a feeling of incompletion at times, especially where you might work very hard on a project, but never to know the actual end result. And, this brings me back to why I love my current project. We are simply not giving recommendations and walking away. We are actively engaged in the implementation of our recommendations as well as in the improvement of the overall program. D: You recently posted on Facebook about an issue in the way organizations are executing their CSR strategies. Tell us more about your observations? K: Sustainability in the Middle East has been lagging compared to Europe and The United States. But, I personally think there is a lot of potential and opportunity that lies at the intersection of ESG Investing principles and Islamic Banking principles. I feel that bringing the two together could be the game-changer here in the Middle East. D: What would be the top three companies you are excited to follow over the coming years? Why? K: I am very interested to see what Saudi Investment Bank does in terms of ESG. I am also very keen on following Leslie Faulkner, a SUMA graduate, who founded a sustainability strategy-consulting firm in New York targeting small to medium sized companies. I’m also a big fan of distributed renewables, and am excited to follow companies like UGE in near future. D: What are your top two favorite news sources that help you maintain a professional edge? K: I go to a lot of events, and that is the best part about living in New York! We are so lucky to have access to the various conferences and networking events that happen in this city! For news, I follow The Guardian closely as they have good coverage. I will say though that the SUMA Facebook page is quite a great resource. Sometimes, all I need is a swipe down the SUMA feed and I am up to date with clean tech, food, water and all the topics. People do a great job, and I am happy we have kept the energy going and everyone contributes meaningful posts. D: What advice would you give to students currently wanting to enter the sustainability consulting industry? K: To fit into consulting you will need to have a lot of skills because you will end up doing a little bit of everything, for instance you need to be very good at writing and communicating ideas, through PowerPoint and otherwise. Take quantitative analysis courses while at school. Get some research done. It always helps to have some corporate experience but if that is not something you have then try working on small consulting projects, you could build your own by approaching small clients, or write a blog and get your name out there. Capstone of course is a good experience too. D: That’s great advice! Before I let you go, last question: How best could current students of SUMA learn about AccountAbility and keep track of your hiring process?